Have you ever wondered how to add an admin to a Facebook Group? Me too. I’ll admit I don’t have much experience with Facebook Groups, as I didn’t have any clients until recently that used them. 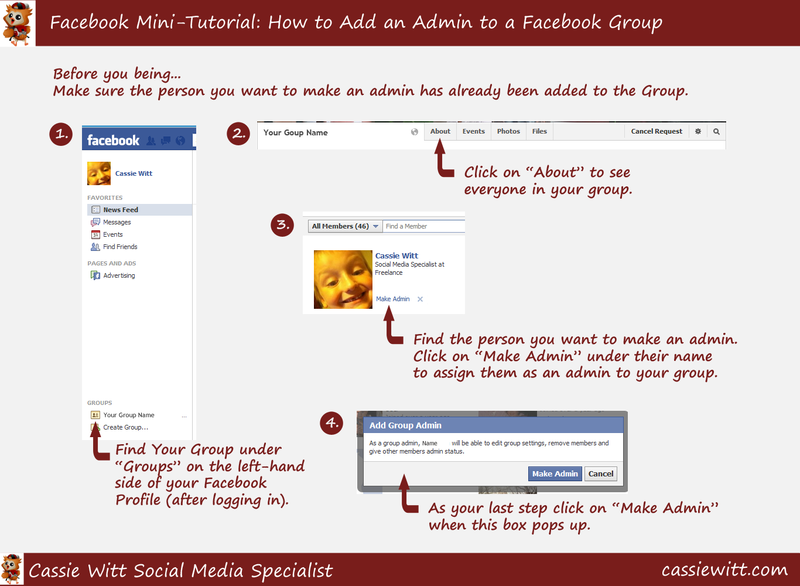 So, when a client asked me how to make me an admin of their page, I drew a blank. We must have clicked on everything on that group (except the one section we needed to click) in order to find it. Now I know! And I’m passing this knowledge onto you in a mini-tutorial. This was totally a no-brainer, once you knew where to click! Oh, and if you know someone out there who doesn’t know how to do this, pass this along to them.